Raaz Reboot Trailer Review- An engaging plot-line with horror instigated at the right places! Raaz Reboot Trailer: The makers of Raaz Reboot have released the official trailer of the movie on its 16th anniversary. Raaz Reboot Trailer is here and it proves that the movie has an engaging plot-line. The lead roles are played by Kriti Kharbanda, Emraan Hashmi and Gaurav Arora. As Kriti says in the trailer ‘Secrets are the enemy of life’ and that’s what the trailer revolves around. Gaurav Arora (Rehaan) and Kriti Kharbanda (Shayna) are happily married and they come back to the place where they first fell in love with each other. That’s where the story begins to take a turn. Shayna believes the house is haunted but Rehaan does not believe her. 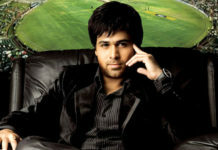 Enter Emraan Hashmi, Shayna’s ex-lover, who says he knows that house is haunted and wants to help her. Then begins the story about trust, their past and the spirit haunting them. Written and directed by Vikram Bhatt, Raaz Reboot is being produced by Mukesh Bhatt, Bhushan Kumar and Krishan Kumar. Have you heard the Sound of Raaz yet? Raaz Reboot is scheduled to release on 16th September 2016.